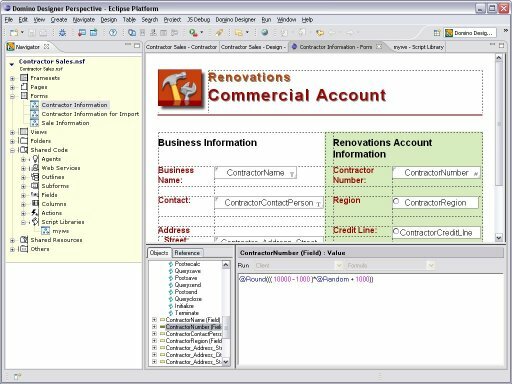 Maureen Leland has just posted some more info on the Lotus Domino Designer in Eclipse project that she is working on - and this time she has also posted a picture showing the Domino Designer client running in Eclipse! I have previously blogged on Maureens project. This entry was posted on Wednesday, September 20th, 2006 at 20:53. You can follow any responses to this entry through the RSS 2.0 feed. Both comments and pings are currently closed. IBM hasn't announced a time line, so I put up a little petition over here. Come and sign it!